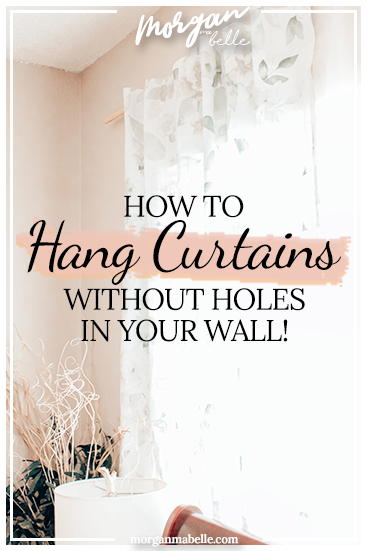 My go-to way to dress up and any living space is curtains! 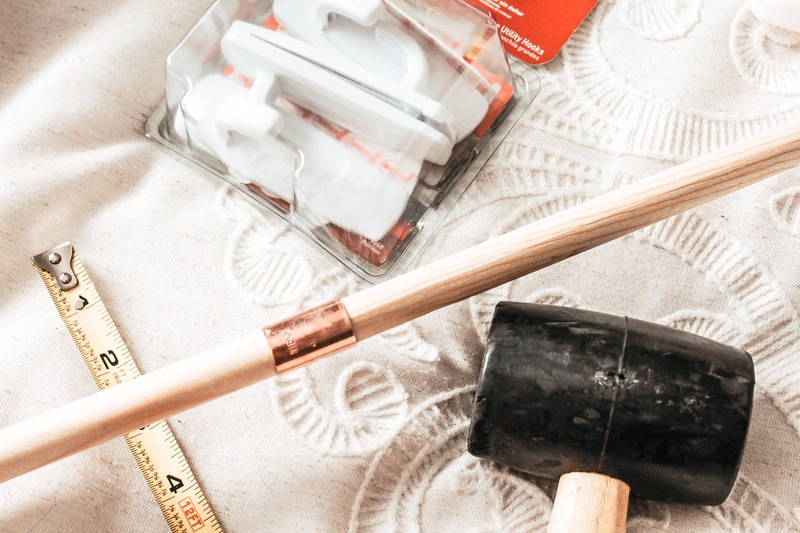 Unfortunately, sometimes there are rules imposed by landlords, RAs and property managers about how you can attach things to your wall. 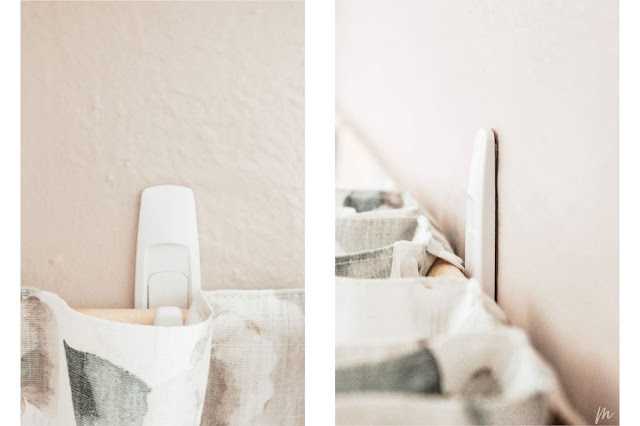 Let me tell you, Command Strips will be your best friend! How high you hang your curtain rods depends on your curtain length (typically either 84" or 96") and if you like puddling curtains or not, but a good rule of thumb is to put your brackets - in this case, Command Strip - 4 to 6 inches above your window OR centering them between the window molding and the ceiling. I chose to stick my Command Strips where the hook would be at 6 inches above the window, which was just a little shy of vertically centered in my small apartment. You can follow the instructions on the Command Strips box, but it's basically a peel-and-stick method. Because my windows are pretty wide and I didn't want a third Command Strip in the center of my window, I positioned each about 6 inches from the window edge to give more support toward the center of the rod. 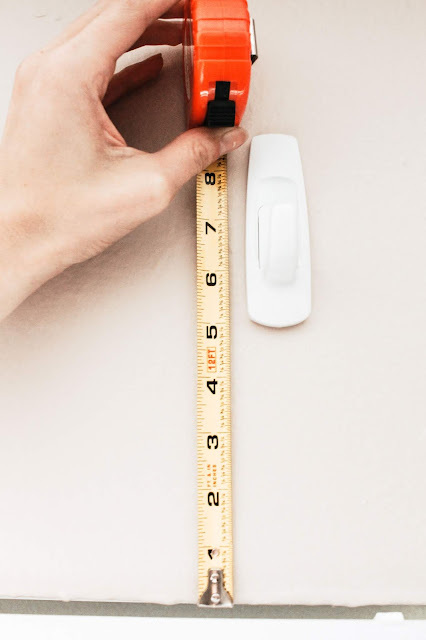 You'll want to wait for the Strips to adhere strongly to the wall before hanging anything from them; the recommended length of time is 1 hour. 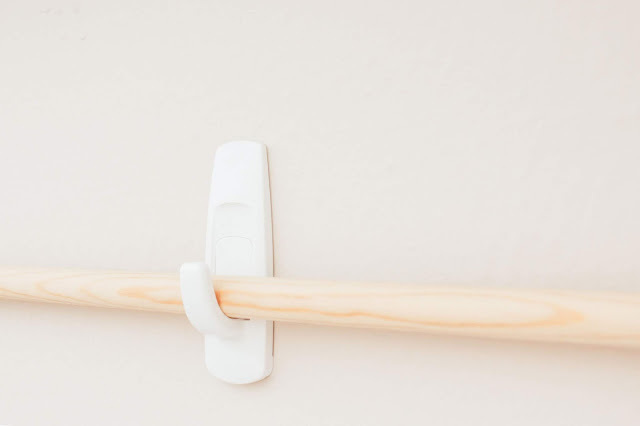 You can see by how the dowel rod sits on the Command Strip that pulling the curtains closed won't be a smooth task, so you don't want curtains with a rod pocket because you'll have a pucker where the hook sticks up. 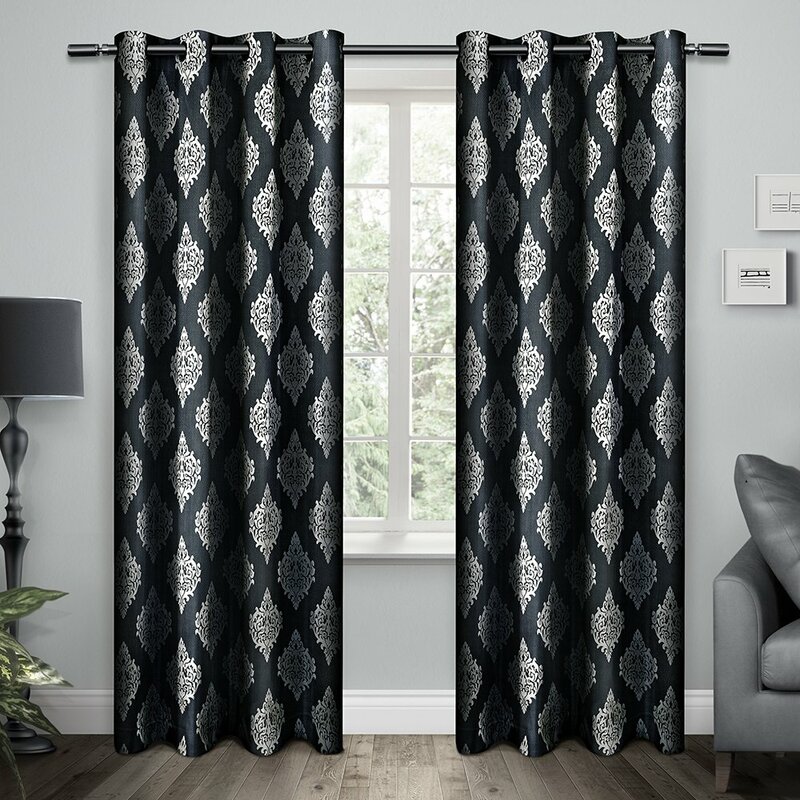 I recommend using curtains with the back tabs or hidden because they'll conceal the hook and you'll be able to arrange them on the rod smoothly. Curtains with grommets will be too wide because of how close to the wall the dowel rod will sit. 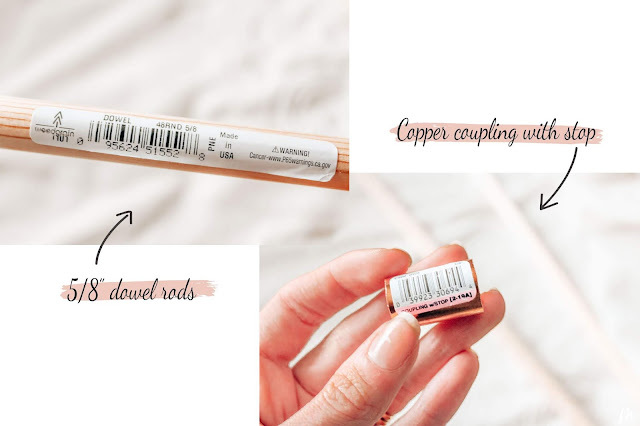 To have a more polished product than the bare ends of the dowel rods, you can also purchase copper caps at Home Depot in the same aisle as the copper couplings. 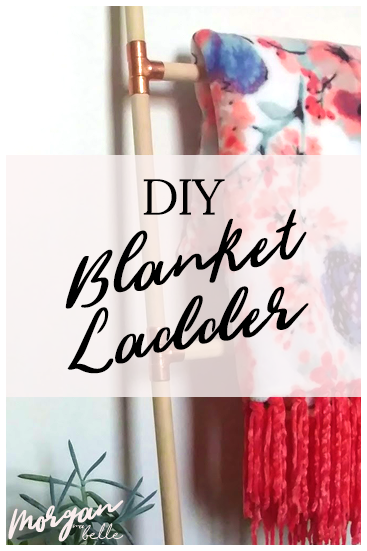 I used them to finish off my blanket ladder DIY because it would be leaning against the wall and floor. I may go back and add them after I've had the curtains up a few days if I decide this project needs that finishing touch. 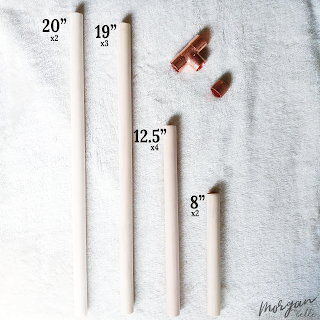 If you give this easy DIY curtain rod a try, let me know or tag me in your Instagram photos @morgan.ma.belle so I can share your results! And, as always, pin this project for later! Jess and I have undertaken the task of planning Shannon's last bridal shower before her wedding. 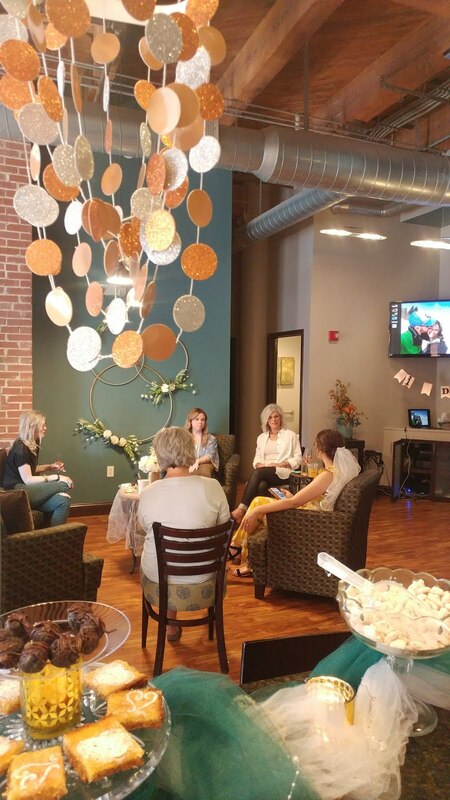 It's two weekends before the big day, so we wanted to make sure it would be stress-free and relaxing for the bride while also being convenient for our friends from church to celebrate her (the rest of her bridal & wedding showers having taken place in Alabama). Seek inspiration. First, with the bride's own inspiration board. 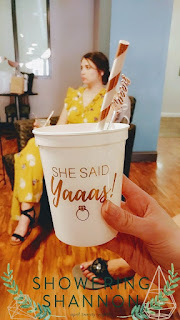 It's important to take into account the bride's own taste in decorations while keeping it easy and budget-friendly for amateurs event planners like myself to pull together. Pinterest is the search engine for all things beautiful. If you don't already follow me on Pinterest, you can do that here. 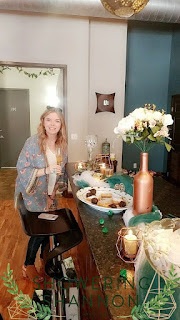 To see my specific "Showering Shannon board" where I saved decoration ideas, party games, and appetizer recipes, click here. Settle on a budget and stick to it. 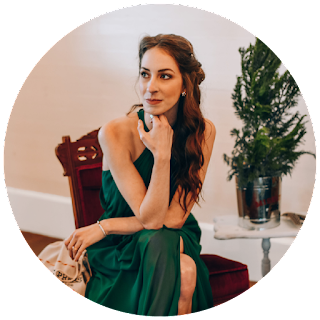 We knew from the registries and our own experiences with the bride that she has expensive taste but can thrift and craft like no other. Challenge accepted! 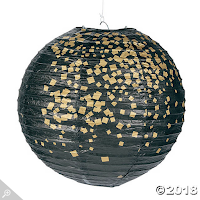 Because of our budget, we knew we would be making food ourselves, DIYing a few decor pieces with elements purchased from craft stores, and shopping smart at Amazon.com, Oriental Trading, & Dollar Tree. I cheated and did a Facebook event. Sure, I started purchasing the decorations last November, but I didn't actually make reservations until the end of March. 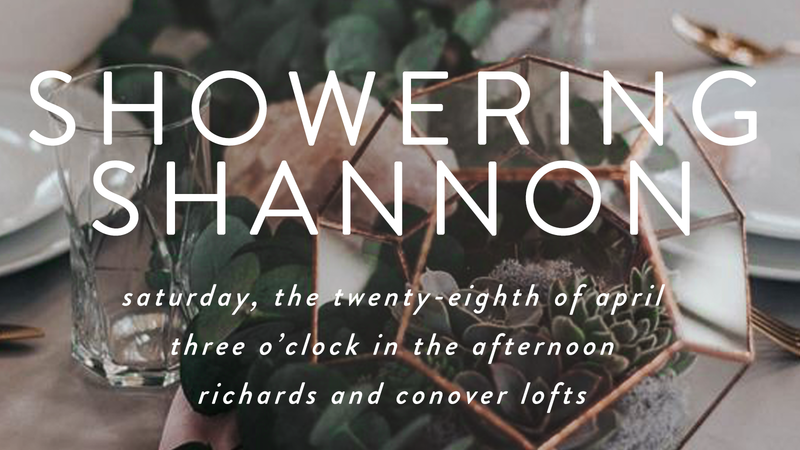 Maybe there was plenty of time to design and print and mail invitations before the last weekend in April, but there wasn't plenty of budget or my brain capacity any longer. I designed this cover photo for the Facebook event with the same typefaces & color scheme as the official wedding invitations. If you want to make your own, the optimal cover photo size is 1920px x 1080px. Most of my items I purchased from Oriental Trading. My mom suggested the website & sent me a referral link that got me $10 off my first order, so I figured I should do the same. 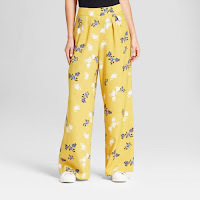 You can click here to start your own shopping trip, and if you spend more than $49 you'll receive the $10 discount (and I'll get a $10 discount on my next online shopping spree). Everybody wins! You'll notice that we had to do some metal mixing between rose gold, gold, and copper. Some - but not all - of the products pictured below contain affiliate links. There is no cost to you to click them, but if you do I may earn a small percentage. 4. 20 questions we asked him before we asked her to see who has the best memory! We forgot the bubble gum for this game so she had to chew a stick of spearmint for every question she missed. 5. 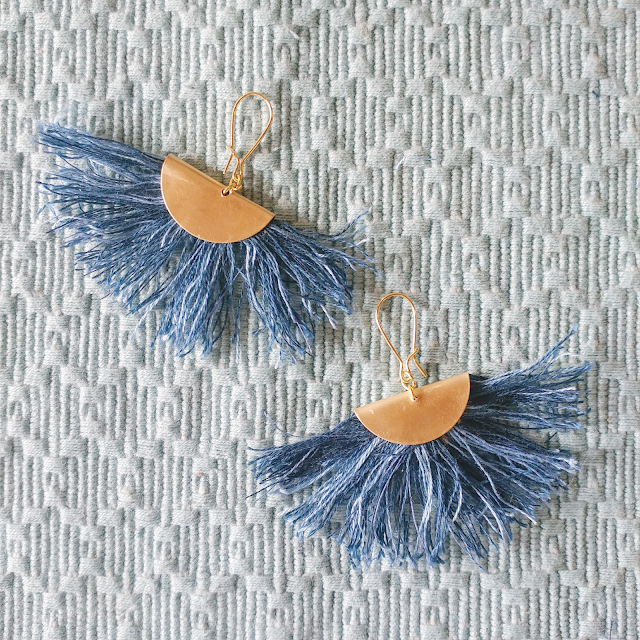 A pair of handmade tassel earrings this time with green instead of blue, as a prize for one of the games. 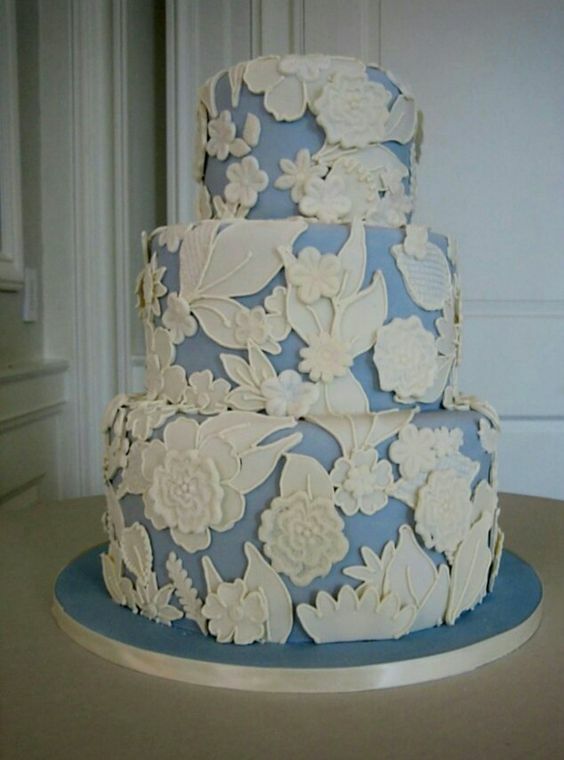 Pinterest has done it again! 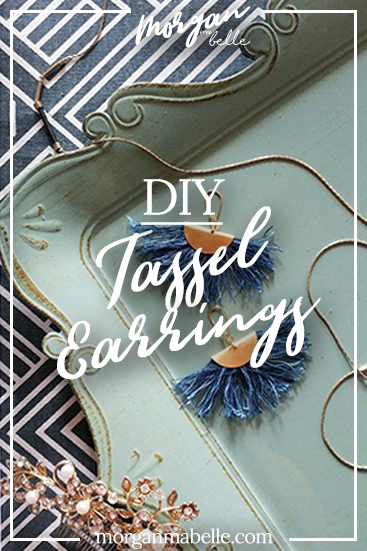 In my quest to find the best budget-friendly decor ideas for the copper and emerald green bridal shower this weekend, I came across the CUTEST DIY earrings from A Pair & A Spare. And because I'm me, I had to put my own complicated twist on the project. But this isn't a complicated project at all - especially if you already have most of the materials on-hand. I did have to make a quick trip to Joann's Fabrics to pick up the colored string and the copper discs, but I already had everything else in my craft drawers. 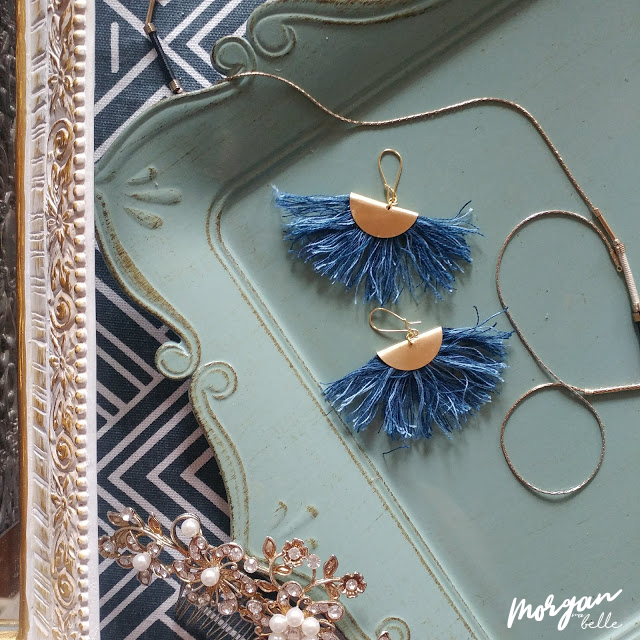 From start to finish, one pair of earrings took maybe three hours, so this is an easy afternoon project. 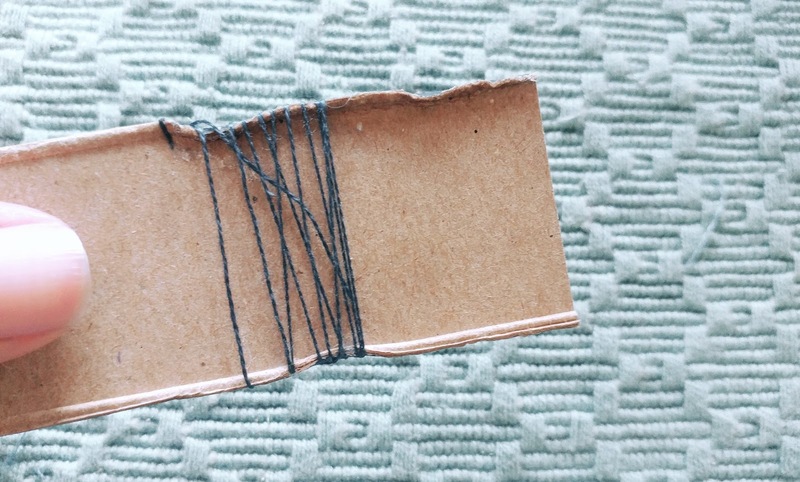 For this part I cut a long rectangle of thin cardboard (from a pasta box, if that helps!) that was as tall as I wanted the tassels to be long and about 4 inches long so that I had enough cardboard on one end to grab as I wrapped the string around the cardboard. I put a stripe of white Elmers glue about two and a half inches long along a long edge of the cardboard and proceeded to wrap a single thread of whichever color I wanted around the strip. This is also where I differed from A Pair & A Spare; I used multiple shades of blue thread to make multi-colored tassels. 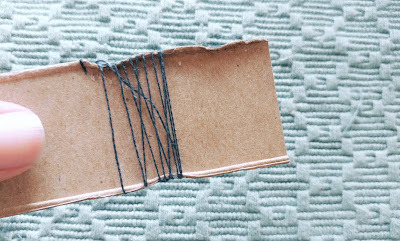 Keep wrapping and looping until you have a very thick panel of string on each side and let the glue set or a few minutes. Using small scissors, cut the threads along the bottom (not the edge with the glue) of the cardboard to create the fringed ends of the tassels. You'll want to pull the tassels-to-be off of the cardboard before it has a chance to really set or it will be stuck to the cardboard. No one wants that! I would also recommend wrapping more thread than you think you'll need. My tassels on this first attempt ended up looking a little thin and scraggly. If you can't see the cardboard on either side anymore, your tassel is probably thick enough. I accidentally bought brass discs instead of copper and they were almost impossible to bend! Maybe the copper discs from the original DIY are easier? 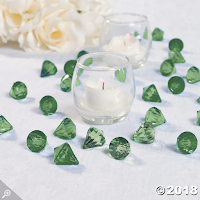 Regardless, I got them bent using a jewelry kit I purchased at Hobby Lobby a few years ago, similar to this one from JC Penney. After you've gotten the discs bent -- and given your hands a rest -- it's time to drill the hole in the discs. It did help to create a small puncture using a small picture hanging nail and a hammer to give the drill bit a place to start. I actually broke a drill bit on this part, so consider yourself forewarned, though this may be because there are softer copper discs to be found at your craft store than I used. Cut a thin strip of leather into a smaller version of your half-moon discs. 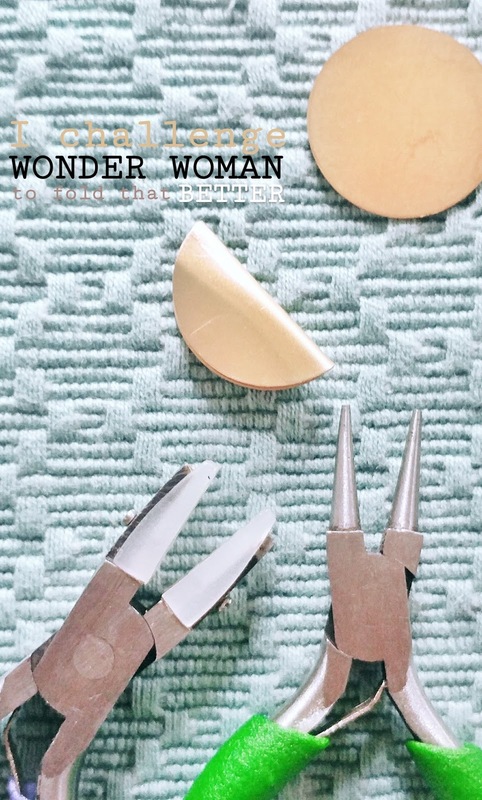 They should look like a flattened 'u' to make sure they don't cover the hole you've drilled for the earring hooks once the leather is wedged into the "tacos." 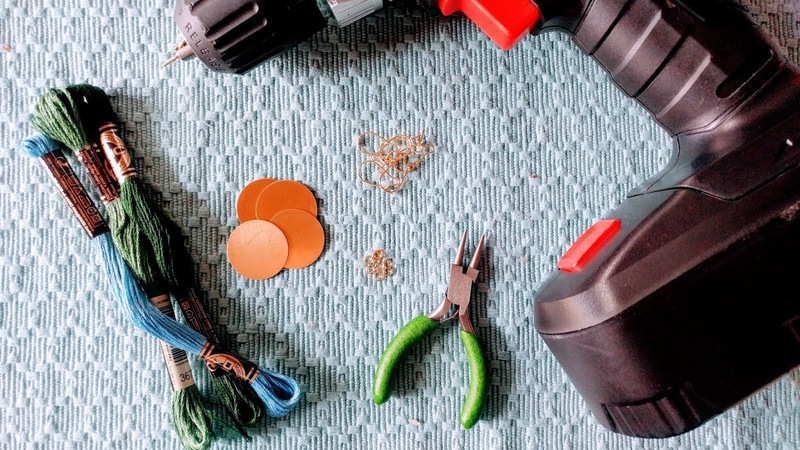 Attach the tassels you created in the first step to the leather to create a fan shape. I used super glue successfully, but if you have metal glue or E3000 that would probably work just as well. Dab some glue into the insides of the folded copper tacos and insert the fan tassel. 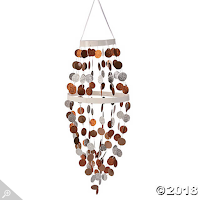 At this point, you can fold the copper piece completely closed and trim the edges of the fan tassel. 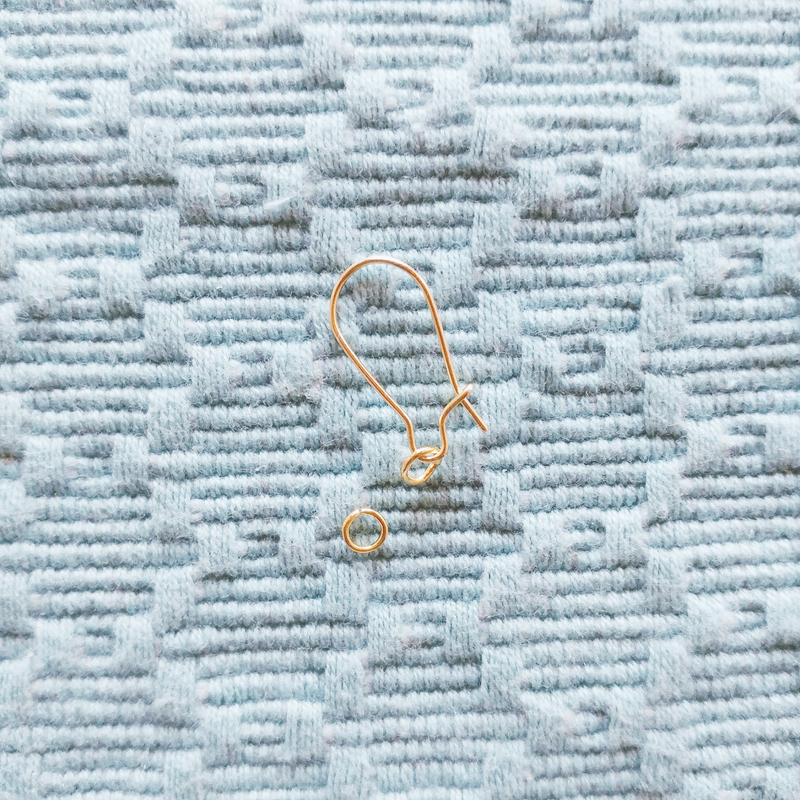 I had to use two jump rings: the 1st through the holes in the copper disc and the 2nd through that jump ring and connected to the earring hook. This is where the pliers come in handy again, especially if you have two. Use one set of pliers to hold the jump ring, and the other to twist the ring open. These are very malleable so it doesn't take much effort to open & close the rings. By now, your leather & tassels have settled and dried in place in the copper "tacos," so it's safe to pick them up and mess with them again. 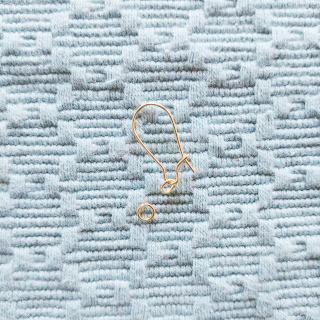 Attach your earring hooks to the copper discs using the jump rings, and close the jump rings tightly with your pliers. With the earring hooks I selected, the jump rings would have been quite loose, so I squeezed them a little tighter too to keep the earrings secure. Happy crafting! 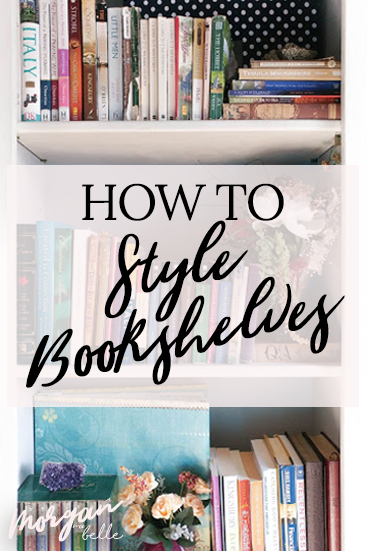 If you give this a go, please let me know in the comments! 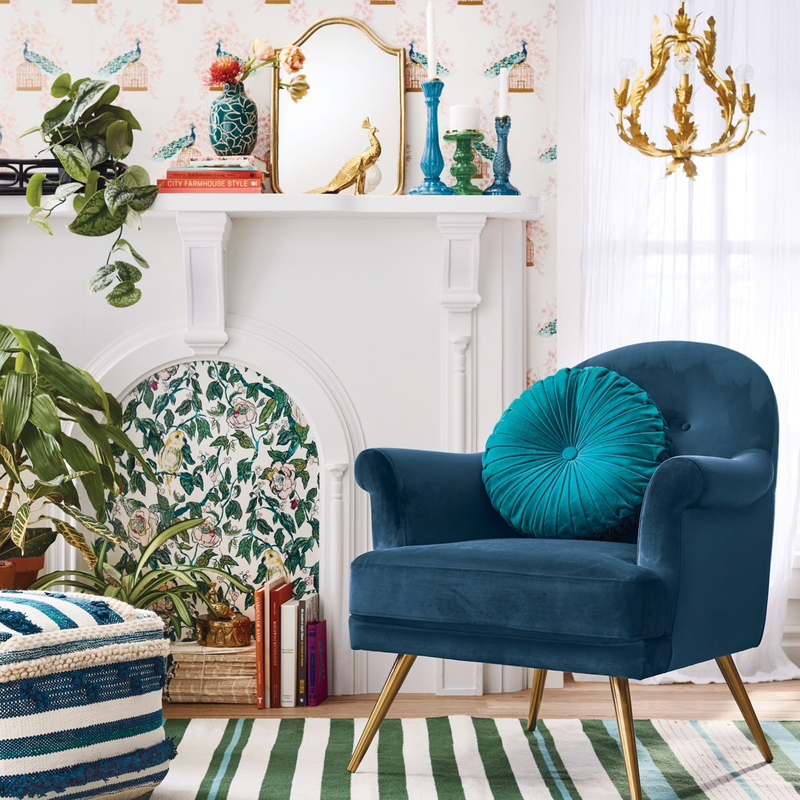 Have y'all seen the new Opalhouse collection at Target? OH MY GOSH! 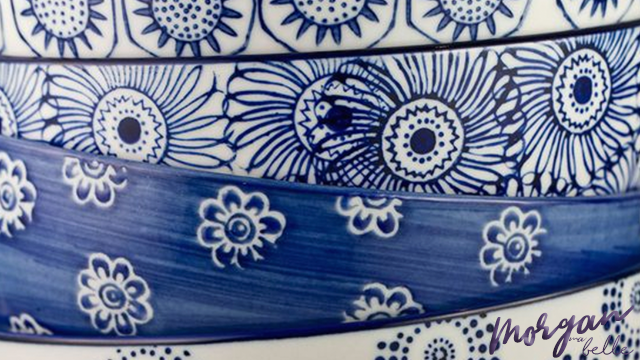 It is everything I would put into my dream home and at Target prices! I am in love! 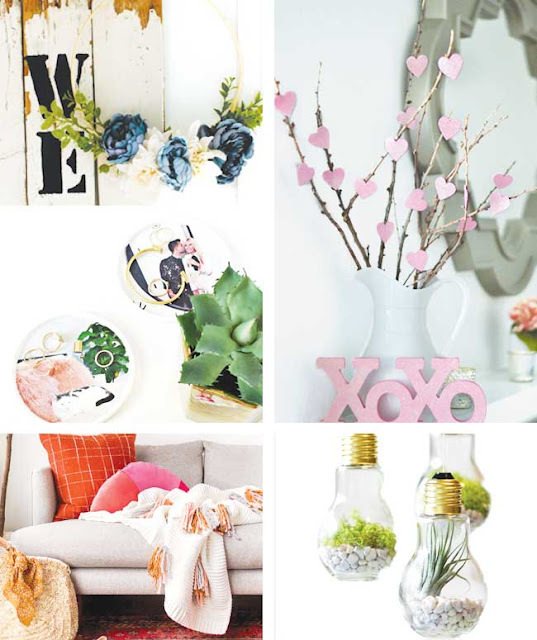 If you follow me on Pinterest, you'll recognize some decor themes; it's like Target was reading my mind! Thank you Addison's Wonderland for sharing your favorites because it has led me down a rabbit hole that even my thrift-shopping wallet can enjoy. 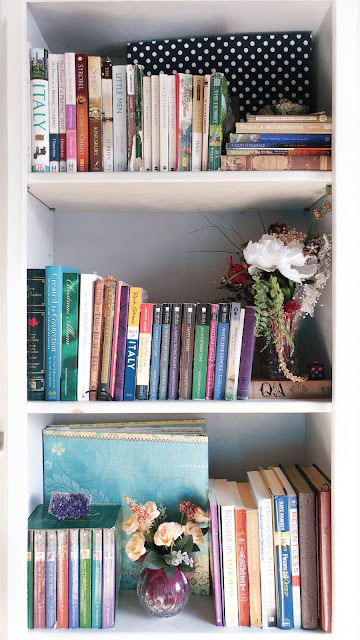 I'm sharing some of my favorites room by room below, so feast your eyes! (These are affiliate links so everytime you click to shop I earn a small referral fee. This comes at no cost to you.) Of course, if you head over to Target.com you can see the entire collection unfiltered - which I recommend. 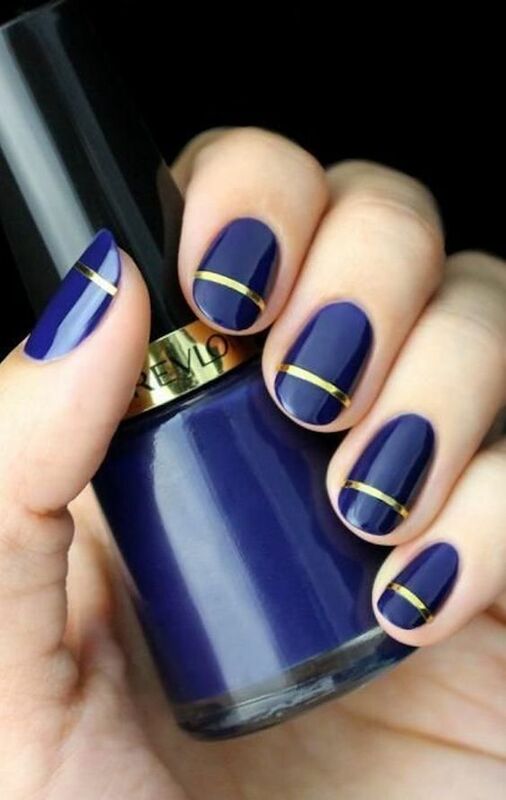 If you just want to shop the top photo, click here. 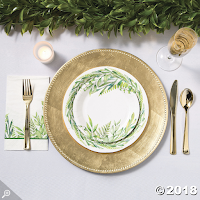 Having visited Target since writing this blog, I do have to add a few things! Some of it feels so cheap! 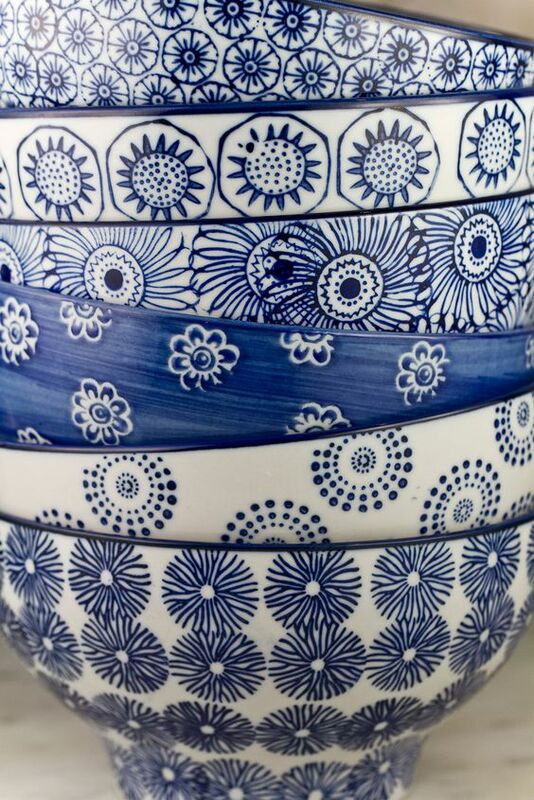 Which leads me to suggest that some of these items (particularly the kitchen goods) would be great for a dorm or first apartment, but maybe won't have long-term durability. 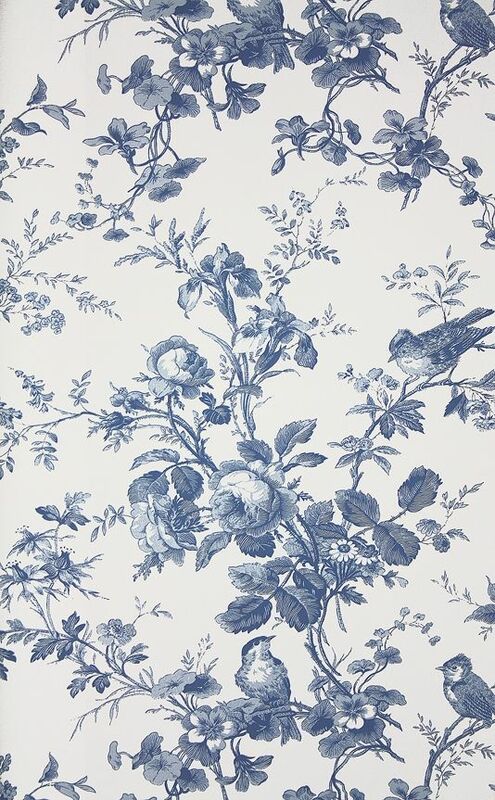 I suggest sticking with the accent pieces - picture frames, candleholders, wine stoppers, and soap dishes - and the textiles - shower curtains and towels, bath mats, and pillows and blankets. A few items have 100% remained on my shopping list after checking them all out in person: the Scallop Stitch Shower Curtain, the Perfectly Soft Embossed Bath Towels, the Tasseled Diamond Woven Bath Rug, and the Mango Wood Painted Peacock Tray (though I'll likely use this as wall art intead of an actual tray. 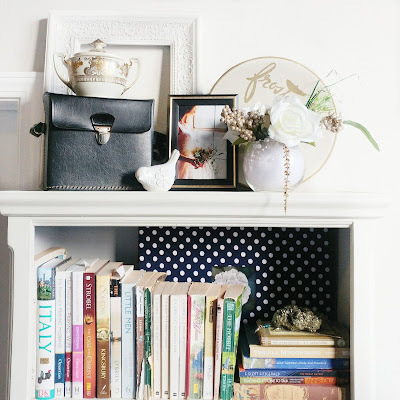 Because my last Pinterest comparison post is one of your favorites, I've undertaken another! I've wanted a blanket ladder almost since I knew they were a thing, but they've always been out of budget or just not the style I want in my living room. As our collection of blankets has grown (shoutout to all my always cold girls! ), the need for one has not gone away. 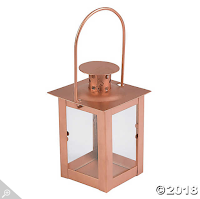 Finally, I found one that I liked the look of, and because it was a DIY the price was much more manageable! I came across two on Pinterest that looked almost identical in style and end-result, but with some different measurements and steps. 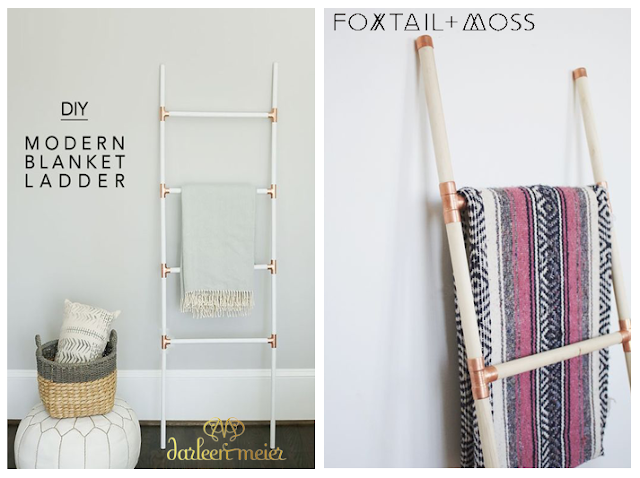 The first is Foxtail And Moss's gorgeous DIY Wood + Copper Blanket Ladder. 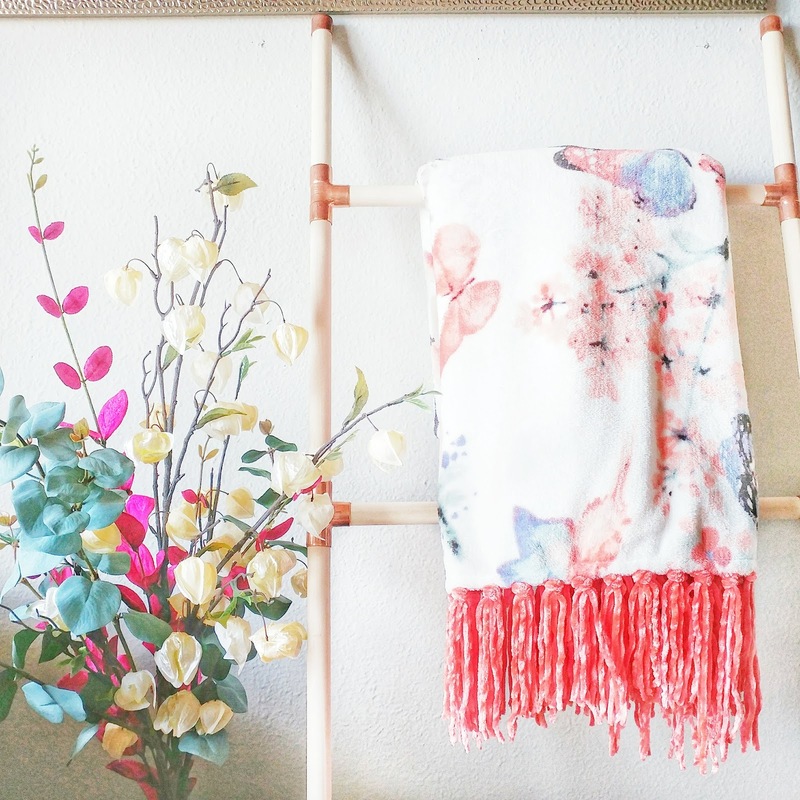 The other is Darling Darleen's DIY Modern Blanket Ladder. 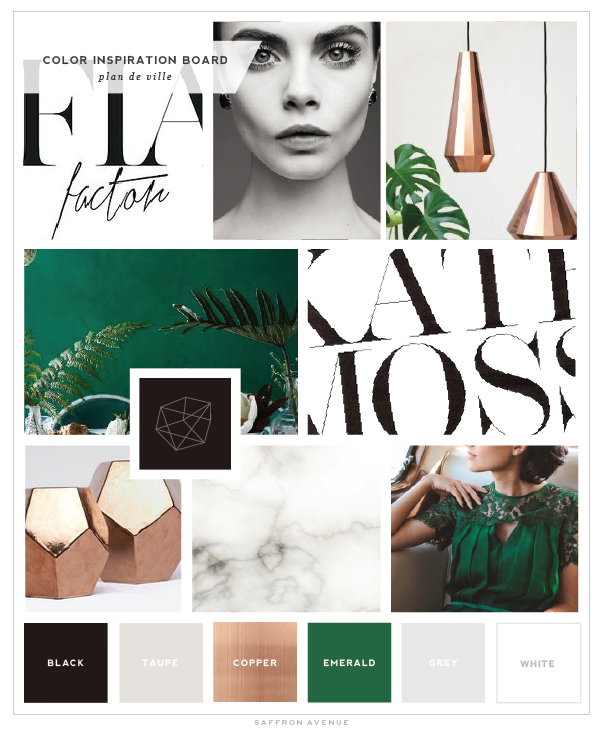 If you're a picture person, I suggest Darleen Meiers; if you're good with end-result photos and written instructions, Foxtail And Moss' post will work for you. What I didn't take into account is that each copper pressure tee adds another inch in height to the ladder, so my ladder at the end was about 56 inches tall. Not too big of a problem, I just lean it out a little farther from the wall. If I had considered that prior to making my cuts, I would have the trimmed the bottom dowels from 20" to 18" and trimmed the middle dowels from 12.5" to 12." Voila! Make sure to layout out your dowels and your copper tees exactly how you want to assemble them. You don't want to mis-glue a leg in place instead of a crossbar! 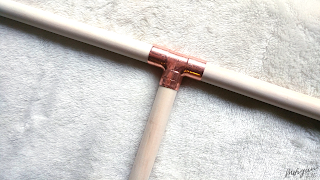 Most of the dowels fit snugly into the pressure tees, but to ensure that I would have a sturdy ladder, we first coated the inside of the pressure tees with wood glue. 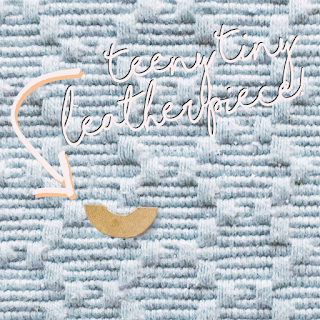 Have a paper towel handy to immediately wipe off any glue that squishes out the sides of the tees! A little glue inside the bottom of each copper cap kept them securely on the legs. Once we'd finished gluing and assembling, I let the ladder dry for a full 24 hours before hanging any blankets from it.